In this talk, C. Ondine Chavoya will discuss the curatorial process and strategies involved in developing the exhibition Axis Mundo: Queer Networks in Chicano L.A. The historical exhibition is the first of its kind to excavate histories of experimental art practice, collaboration, and exchange by a group of queer Chicanx artists between the late 1960s and early 1990s. The exhibition presents a broad range of media – painting, performance ephemera, print material, video, music, fashion, and photography - in the context of significant artistic and cultural movements: mail art and artist correspondences; the rise of Chicanx, LGBTQ, and feminist print media; the formation of alternative spaces; fashion culture; punk music and performance; and artist responses to the AIDS crisis. Chavoya’s talk will address questions concerning the role of archives, networks, and queer histories in contemporary exhibitions. C. Ondine Chavoya is a Professor of Art History and Latina/o Studies at Williams College in Williamstown, Massachusetts where he teaches courses in contemporary art and visual culture. A specialist in Chicanx art, Chavoya’s writings have appeared in Afterimage, Arftorum, Aztlán: A Journal of Chicano Studies, CR: The New Centennial Review, Performance Research, Wide Angle, and in numerous exhibition catalogues and edited volumes. His curatorial projects have addressed issues of collaboration, experimentation, social justice, and archival practices in contemporary art. 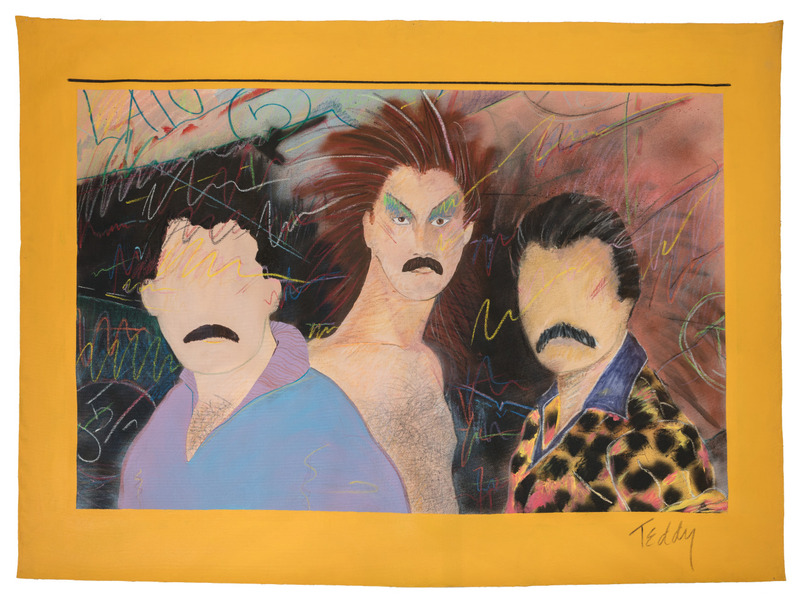 Recent exhibitions include Asco: Elite of the Obscure, A Retrospective, 1972-1987 (with Rita Gonzalez), Robert Rauschenberg: Autobiography(with Lisa Dorin), and Axis Mundo: Queer Networks in Chicano L.A.(with David Evans Frantz). Working with Jennifer González, Chon Noriega, and Tere Romo, he is also co-editor of the forthcoming Chicano and Chicana Art: A Critical Anthology(Duke University Press). Chavoya received his B.A. from University of California, Santa Cruz in Art History and Comparative Literature and his M.A. and Ph.D. from University of Rochester in Visual and Cultural Studies.